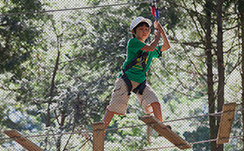 The Adventure Course is Forest Adventure’s standard course, and it is the most dynamic and challenging level available. You will be high in the trees for a long time, an exciting experience that you cannot find anywhere else in everyday life. 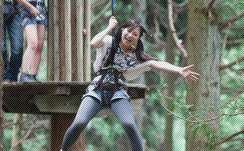 Look out for the Tarzan Swing, our most thrilling feature! 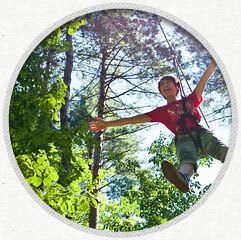 At Forest Adventure adults will find their inner child, while the kids feel like grown-ups. Both can enjoy the course together. 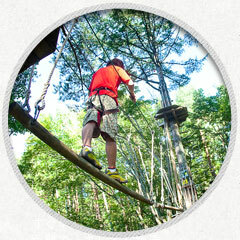 Everyone is careful to keep safe, because it is very high, but this makes it serious fun! 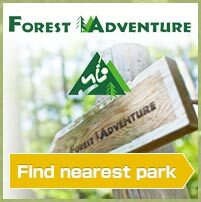 Every forest is different, so each park has a unique atmosphere. 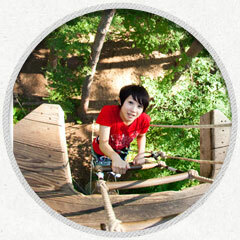 Some people have been to every one of our Adventure Courses, why don’t you try to visit them all? 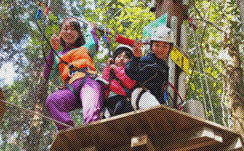 ※Conditions of participation are different at each park, so it is recommended to check the website beforehand.